When I was a child, the thought having carrots in a cake was totally disgusting. In fact, I could hardly believe anyone would waste a good cake on carrots. I finally decided that I should try a bite and see why everyone was gobbling this cake up. Wow, what a flavorful experience! Perhaps the cream cheese icing just made the whole thing work. I don’t know, but I can tell you this, every child should eat carrots this way! My grandson loves carrot cake. I think the aromatic spices are the major reason, as I can’t really taste carrots. I just wonder why they were ever put in a cake? The Carrot Museum gives us a little clue. According to food historians, our modern carrot cake most likely descended from Medieval carrot puddings enjoyed by people in Europe, although no one really knows for sure. But they do know that during the middle ages, sugar and other sweeteners were difficult or expensive to come by in Britain and carrots had long been used as sugar substitute. Carrot cake and its precursors took several forms, including baked in pastry, like pumpkin pie, steamed and served with sauce, like plum pudding, and baked in pans and served with icing, like cake today. All I know is that we love Carrot Cake at our house! 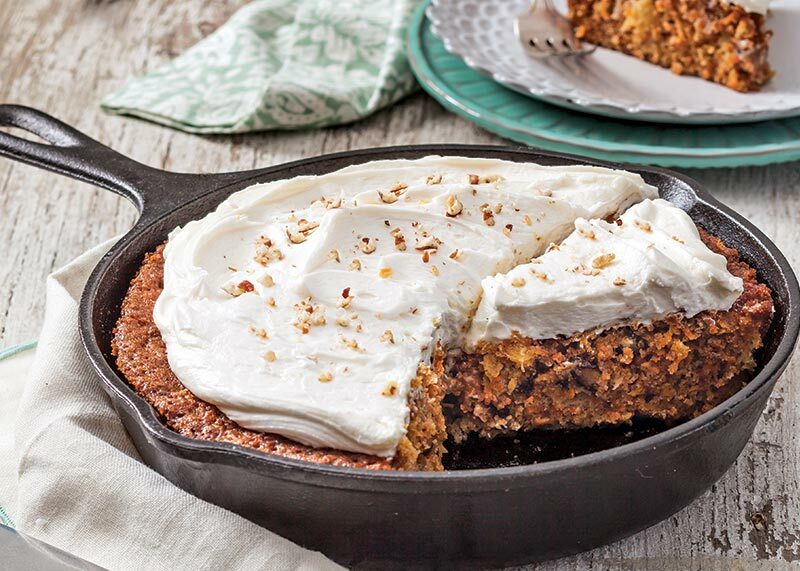 I have a great recipe for a carrot cake cooked in an iron skillet! This will be sure to please your friends and family. Preheat oven to 350°. Spray a 9-inch cast-iron skillet with cooking spray. In a large bowl, whisk together flour, baking soda, salt, cinnamon, and nutmeg. In a medium bowl, whisk together sugar, oil, and eggs. Add sugar mixture to flour mixture, stirring just until combined. Fold in carrot, pineapple, coconut, and pecans. Spread batter in prepared skillet. Bake until a wooden pick inserted in center comes out clean, 30 to 35 minutes. Let cool completely. Top with Cream Cheese Frosting. Garnish with chopped pecans, if desired. In a large bowl, beat cream cheese and butter with a mixer at medium speed until smooth. Beat in vanilla. Gradually add confectioners’ sugar, beating until smooth. 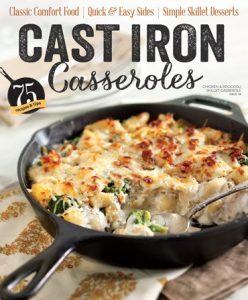 Find more delicious recipes in our Southern Cast Iron Casseroles issue! For the carrot cake is it 4 oz of 14 oz of pineapple ??? I too love carrot cake. 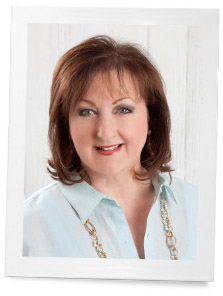 Thank you for this recipe and thank you Phyllis, for reintroducing me to the iron skillet. We have 2 now and use them all the time. A “sweet” one for me and a “savoury” one for my husband. Again, can’t thank you enough for this. MMMMMM! Who doesn’t love carrot cake? I have never heard of baking it in an iron skillet, but it would be good baked most any old way.